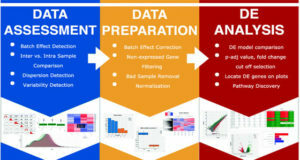 Researchers from the University of California, Berkeley and the University of Iceland have developed kallisto, an RNA-seq quantification program that is two orders of magnitude faster than previous approaches and achieves similar accuracy. Kallisto pseudoaligns reads to a reference, producing a list of transcripts that are compatible with each read while avoiding alignment of individual bases. 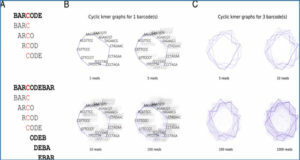 The researchers used kallisto to analyze 30 million unaligned paired-end RNA-seq reads in <10 min on a standard laptop computer. 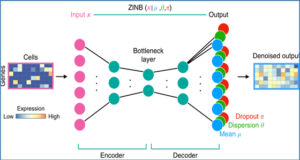 This removes a major computational bottleneck in RNA-seq analysis. 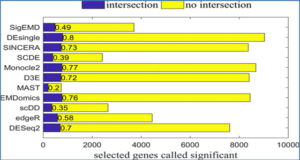 The input consists of a reference transcriptome and reads from an RNA-seq experiment. (a) An example of a read (in black) and three overlapping transcripts with exonic regions as shown. 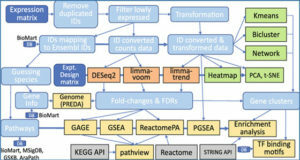 (b) An index is constructed by creating the transcriptome de Bruijn Graph (T-DBG) where nodes (v_1, v_2, v_3, … ) are k-mers, each transcript corresponds to a colored path as shown and the path cover of the transcriptome induces a k-compatibility class for each k-mer. (c) Conceptually, the k-mers of a read are hashed (black nodes) to find the k-compatibility class of a read. 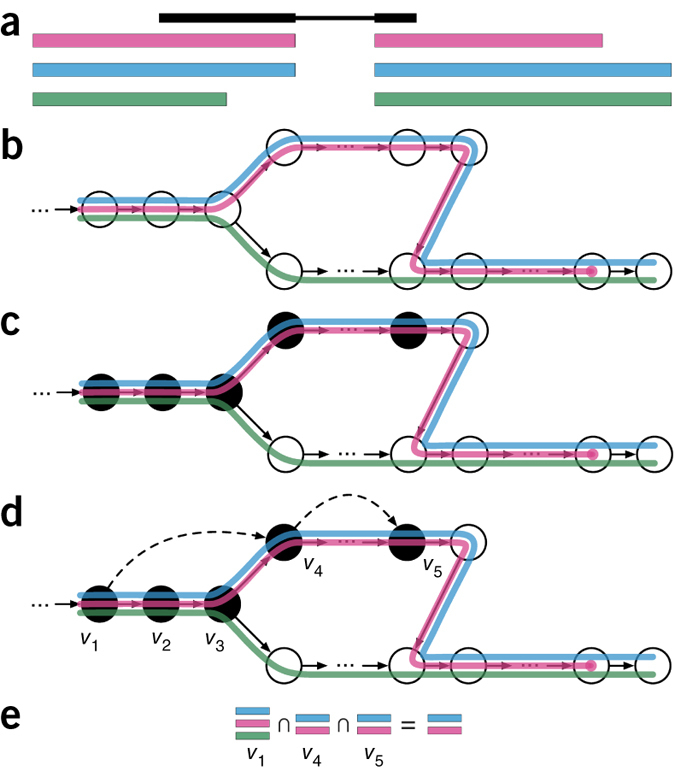 (d) Skipping (black dashed lines) uses the information stored in the T-DBG to skip k-mers that are redundant because they have the same k-compatibility class. (e) The k-compatibility class of the read is determined by taking the intersection of the k-compatibility classes of its constituent k-mers. Availability – The kallisto program is available as Supplementary Software and for download from http://pachterlab.github.io/kallisto/.